The three-bay-wide, hip-roofed house is double-pile with a decorative gable centered on the façade. The house has vinyl siding, one-over-one wood-sash windows, and an interior brick chimney. 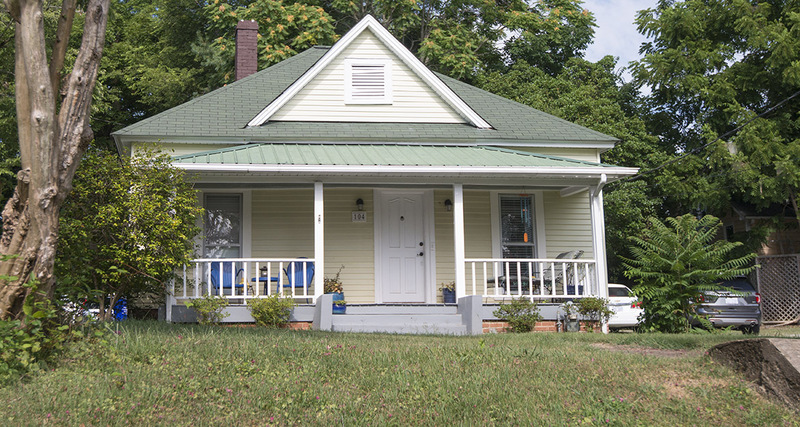 The four-panel door is sheltered by a full-width, hip-roofed porch supported by square posts with a later wooden railing. Two full-width, shed-roofed rear additions are now covered by a single shed roof. There is a low concrete wall and concrete steps at the street. A stone wall extends along the driveway on the left (south) side of the house. The house appears on the 1924 Sanborn map.